Are you searching for a business opportunity offering the perfect balance of equity, lifestyle and fun? 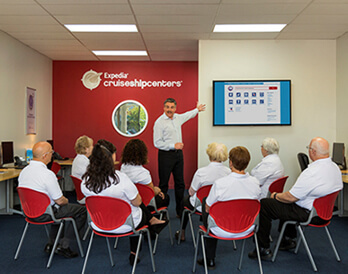 By owning an Expedia CruiseShipCenters franchise, you can enjoy a great lifestyle as the owner of a retail travel agency franchise and brand recognition of Expedia’s global brand and $99.7 billion in buying power. As a full-service retail travel agency your Expedia CruiseShipCenters location will offer travelers in your community a wide range of travel products along with outstanding service all at Expedia prices. People love to cruise which is why 30 million cruisers are expected to set sail in 2019. 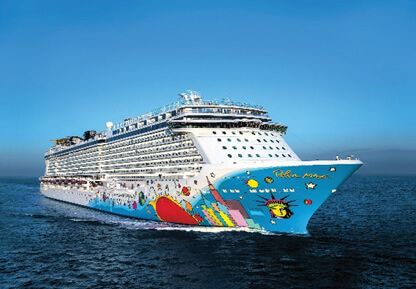 Cruise lines recognize the growing demand for cruise vacations and continue to invest billions, with an impressive 130+ new ships planned to enter the market between now and 2027. Fueled by the baby boomer generation and an increasing appeal to younger travelers, cruisers have the highest satisfaction rate of any vacationer with an extremely high repeat rate. There’s never been a better time to join this growing industry with an Expedia franchise. Please call Jeff Warkentin directly at (855) 978-3568. Expedia CruiseShipCenters is currently accepting inquiries from the following states: Alabama, Alaska, Arizona, Arkansas, California, Colorado, Connecticut, Delaware, Florida, Georgia, Idaho, Illinois, Indiana, Iowa, Kansas, Kentucky, Louisiana, Maine, Massachusetts, Michigan, Mississippi, Missouri, Montana, Nebraska, Nevada, New Hampshire, New Jersey, New Mexico, New York, North Carolina, Ohio, Oklahoma, Oregon, Pennsylvania, South Carolina, Tennessee, Texas, Utah, Vermont, Virginia, Washington, Washington, D.C., West Virginia, Wisconsin, Wyoming.